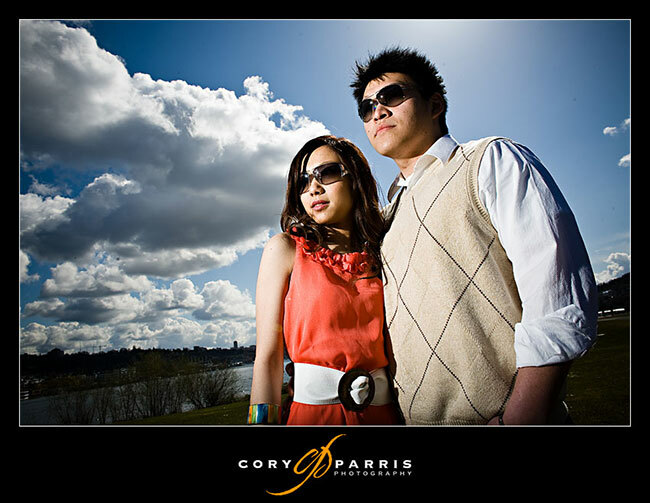 Laurence Kim is a spectacular wedding photographer in Seattle. His images almost always feature perfect sharpness and it is a bit of a trademark of his. When I saw on his blog that he was giving away his secrets, I asked him if I could share them as well! You can see more of his images on his website and blog. I get asked all the time – by professionals as well as amateurs – how I get my images to look so sharp – so clean and crispy. Well, there really is no secret (well, there’s one secret you’ll see in a minute). Getting that crisp look is a combination of several factors. I hope this brief explanation helps, let me know if it does! Now take a look at this histogram. You’ll clearly see the data does not go all the way to the edge of the histogram, it’s about one stop underexposed. Yes, you can adjust the exposure slider in your image editing software of choice to stretch the chart to the right. You’ll need to do this to produce an acceptable image, but the drawback is that when you stretch the data to fix an underexposed image, it gets muddy. I’m not a techie so I can’t explain exactly why, but just do your best to get the exposure correct in the camera. Since I usually shoot in aperture-priority mode, the way I do this is take a quick test shot, then look at the histogram. 90% of the time, if shooting indoors I’ll need to add some positive exposure compensation, often a full stop or more. If I’m shooting a bride in a white dress in a room with white walls I know for sure my default camera setting will be +1 exposure compensation. Don’t trust the image in your camera’s LCD! It will often look okay even if severely underexposed. Just trust the histogram. Lastly, don’t worry about blown-out highlights if they occur on non-critical areas of the frame (windows, light fixtures, etc.). It’s more important that your subject be properly exposed. (2) Hold that camera steady! Camera shake is another enemy of sharp images. Find a technique that works for you. I form a little tripod with the camera pressed against my forehead and my two elbows anchored against my torso. Then I shift my feet so they are spread apart, with one foot in front of the other. Finally, I exhale then press the shutter. 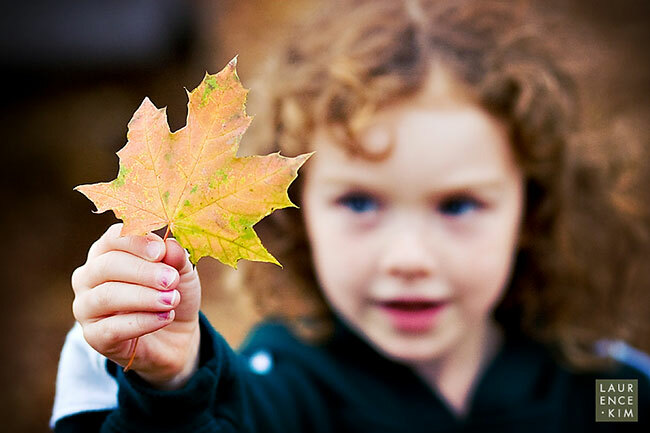 Try practicing by setting your shutter speed to a slow setting, like 1/15th, and see how many sharp images you can get. It also helps a LOT if you have gear with image stabilization, either in the lens or in the camera body. Most professionals use either Canon or Nikon, which have lens-based IS, while Olympus, Sony and Pentax use in-body stabilization. In theory, lens-based IS is slightly superior. However, in reality many lenses – particularly prime lenses – don’t come with IS, making in-body IS superior in my opinion. Come on Canon, get with it! (3) Speaking of lenses, get yourself some sharp ones! Lenses are more important to image sharpness than the camera body. What’s a sharp lens? While there are always exceptions, as a general rule primes are sharper than zooms, and zooms with large apertures (f2.8) are usually sharper than consumer-level zooms that start at f3.5 or smaller (the exception being the Canon L series f4 zooms, which are known to be pretty sharp). (7) Of course, there’s the importance of proper sharpening in Photoshop. Don’t be afraid to sharpen! DSLRs come with an anti-aliasing filter that’s used to smooth out jagged edges that might otherwise make your image look pixilated. The AA filter blurs the image, so some degree of sharpening is needed to bring it back to normal. I’m not bashful when it comes to sharpening. Even if it looks slightly over-sharpened on a computer screen, I know it will print beautifully. Okay, here’s the secret I told you was coming: I use Kevin Kubota’s “Magic Sharp” sharpening action on every single image. I’ve tried virtually every method there is to sharpen over the years and in my opinion this is THE best method. I can’t tell you what the formula is because that would be unfair to Kevin. Just go to his website and buy it! It is in his Production Tools Volume 1 and costs only $69. I would have paid 100x that amount just to get this sharpening action since it makes such a huge difference in my images. One last thing to think about here. Please don’t get hung-up on image sharpness. I think it was Henri Cartier-Bresson who said that image sharpness was highly overrated. This image – taken by my second shooter Kip Beelman – was used as a full-page spread in one of my albums. It was taken in a dark room at a slow shutter speed and definitely has motion blur. It also has a lot of high ISO noise so it’s anything but crisp. However, I still think it’s a great image. I’ll take a shot that conveys a touching moment over a boring crispy shot any day! It is really cool that one of my favorite products is made by a friend of mine. I love my Boda Bag and my friend Jim Garner just sent over the newest copies of them. The Boda Dry and the Boda Dry Jr. Keeping with the original bag, they are the most comfortable I have ever had with me. 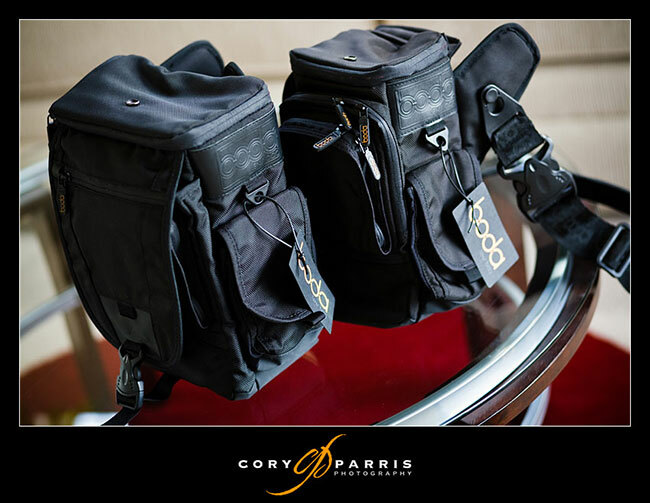 They are designed to be used when shooting as opposed to transporting your gear. 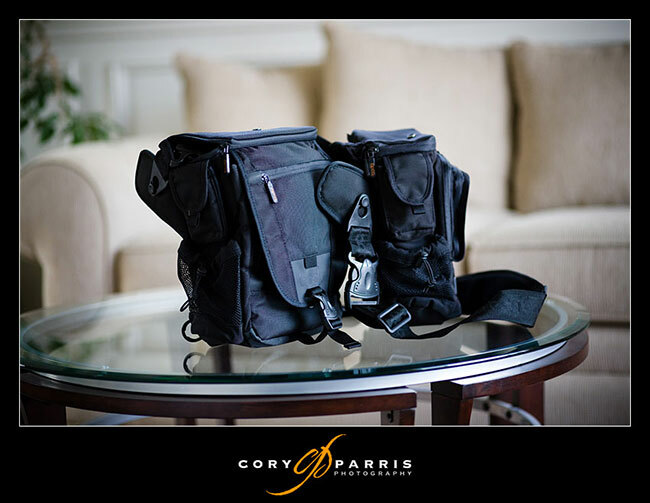 Because of the more specialized intended use, they fit the needs of a busy wedding or portrait photographer better than any other bag I’ve use. The new thing about these bags is that they are waterproof and will protect your gear in a rainstorm. This makes sense for me and Jim that are from the home of liquid sunshine here in Seattle. Also, he came out with a new, smaller size for someone wanted to carry one large or a couple smaller lenses stacked. Very cool. I see myself taking that one on vacation more than shooting because I shoot primes and switch out my lenses fairly often. One more thought on the Boda is that Jim has done a great job of branding the bag. A couple of the photos I took were specifically to show off the number of times it says Boda on this thing. I counted 10 on the outside not counting the strap and the interior which say Boda repeatedly! Nice marketing! My first model shoot was after my first destination wedding in Italy. The wedding couple did not want to be involved with a “Day After’ style shoot. The wedding day was all the imagery they wanted. I was a little disappointed. I had the perfect opportunity to expand my imagery base and use the wonderful Italian architecture to my advantage and give the couple some creative art. The wedding ceremony was at an old Italian church yet all other architecture around the wedding festivities had a modern feel to it. So I asked my wife (who is my shooting partner) to model at Lake Como in the North of Italy. We bought a dress and I shot for hours. These images I used to enhance my destination wedding business. This was the start of a new passion: Bridal-model shoots! By bridal-model photography I mean models in bride dresses and occasionally a male model in a groom style outfit. Why? My branding. I am a pro wedding photographer: every image I take is meant to enhance my brand to my prospective clients and to photographers. Every strong model image is useful to me in many ways. 1. An outlet to bring out compositional concepts not always easy to accomplish at weddings. 2. Improving compositions, style and your art. 3. Creating imagery for marketing and branding. 4. Creating value and increasing your worth. 5. Giving you a reason to see the world. Many times I catch myself wishing the bride created more opportunity and time for me to really shine and pull compositional concepts out of my head and onto digital. Often the pressures of the wedding day keep eroding the time they said they would give me with the two of them alone. Timetables get pushed back and ‘your’ time with the b&g gets taken away. You go home a little frustrated that you could not create some of the art you intended to. Of course you shoot an amazing wedding for your clients but there is always artistic ideas you wanted to give to the bride and groom and more importantly, give to yourself. Let’s admit it, you are always looking for that perfect opportunity at wedding shoots to find and make a fantastic image you can use for your website, print competition and marketing. Model shoots will give you this time (your time!) to flush out compositional ideas and concepts. These kinds of shoots will help improve your composition (what you decide to include and eliminate in your cameras viewfinder) more than you realize. It ‘feels’ easier to ‘Step Outside The Box’ and trying something different without the pressures of the wedding day. As you become more comfortable expanding your vision, passion and creativity without added stress, you just automatically start testing these ideas at real weddings. I would not suggest that you start all at once: developing ‘Style’ in your imagery and overall brand takes time. Don’t rush it! Style is an overall look that your imagery evolves too. It never really attains a level you stay at. Part of being an artist is the constant evolutionary change we all seek: never satisfied, always looking for the next image-idea that turns us on. 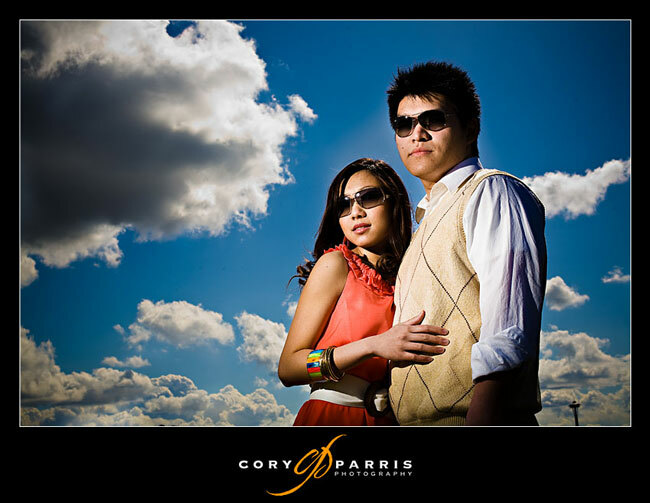 There comes a point when others look at your imagery and can detect a style of overall imagery look. In a sea of wedding photographers, that is a good thing! Model shoots can help you improve your compositions, thus improve your overall style. Practicing your craft is very important! Composition is the rock-solid foundation of your art and business! Let’s quickly give you some ideas on how to set up model shoots.You need a model, dress and location. Models: One of the best places to find models is from your past clients! They almost never charge you for their time. They are often ready to do something cool and fun for the exchange of fresh imagery! Promising them a nice print would cost you very little and a good way to put icing on the cake when asking them to model. Dress shops often know of women looking to break into the modeling world. Often they will model for just the final imagery trade-out. You may know of a family member or friend that just wants to get out of the daily-grind and model for fun. Of course there are pro models and agencies sometimes willing to lower their prices for imagery that is different. Dress: Ebay, discount bridle shops, past clients wedding dresses, the list is endless. Dresses can be procured with little or no cost to you. It all depends on your tenacity to ‘Make It Happen”! Dress shops will often trade out great imagery for the use of nice bridle dresses. Location: Great locations are just a phone call away. Many places will allow you to model shoot on private property if you give them the use of the imagery shot on their location. I have always wanted to shoot at the Vizcaya Museum at Miami, Florida. The opportunity came up a few weeks ago and I will be shooting a model shoot there in less than one month! The cost for a shooting permit? 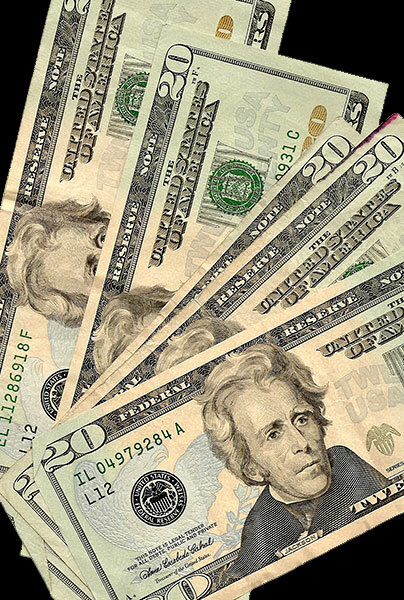 $125.00 for all day. That is worth every penny to me! Yet most of my locations did not cost me a dime! It may take a little ‘selling of a concept’ to get ingredients together for a great model shoot, yet the effort is worth your time. There is an even easier way to be a part of model shoots if you have a little extra money but no time to organize it: Workshops. 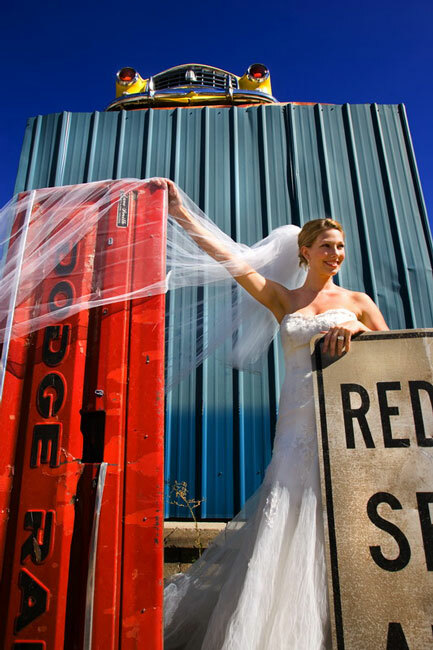 Many workshops have bride style model shoots. This is such a great way to for the instructor to show you his/her style in action, help you with compositional concepts and allow you to take home amazing imagery that is useful in your own branding. There is nothing like learning from a photographer you admire. Now that you have some amazing shots, what do you do with them? There are endless ways to increase your brand-coverage in this industry with wonderful and artistic imagery. Websites: my only caution would be to make clear lines to delineate what is from model shoots and what is from real weddings. A link called ‘Bride-Model Shoots’ would work. Put the images in their own link area. If your wedding images tend to be more conservative, yet you have branched out and photographed very different imagery at model shoots, don’t just mix them around your site. This can have a negative effect with brides you are used to booking. Place the more unusual styled images in there own area, together. Then the lines are drawn and the bride will probably appreciate your creativity. Your marketing: When using images for marketing you need to find out what mood you want to evoke, what ideas you want to project, who you are, what you do and many other concepts. Bridal imagery is often hard to delineate between a real-bride and a model. I see no problem using model imagery in your marketing, as long as it is constant with the style you are capable and willing to shoot at real weddings. If you can’t replicate the model image overall style at your weddings, don’t put it front and center until you can. If you have no problem telling a curious bride that a particular shot was actually a model image, then the bride should have no problem with it. Let’s say you really want to shoot a destination wedding. Travel is great, but very expensive. Having a bride hire and pay your way would be a dream! 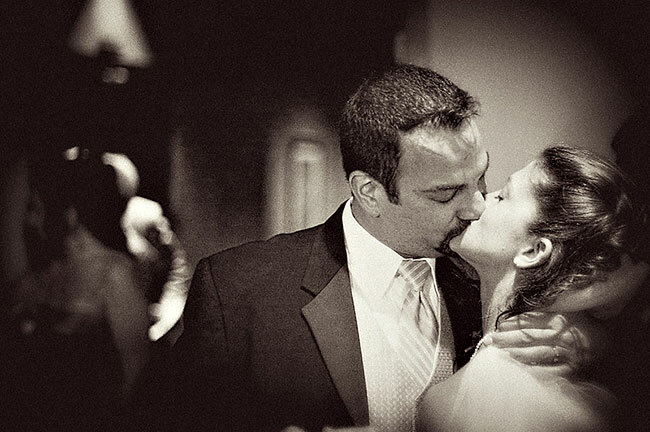 If a bride does not see any destination-style work on your site, most likely she will find a photographer who does. How do you break into that market? I would suggest picking a country or destination location you have always wanted to go and create a goal to go there. Don’t just travel to see the place, make a business trip out of it: create a model shoot at your chosen location and write some of your trip off as a tax deduction. Take a model and dress with you. Perhaps your sister, friend or spouse would model for you in exchange for the airfare costs. Or arrange with people in our industry located at your travel destination to help you with a dress and model. Some will do this for trade out of your imagery. How much would it cost a dress shop to hire a commercial shooter to create art for the purpose of marketing? Plenty! Sell that idea to them. Or what if you made some photographer friends in your travel destination and arranged to ‘get together’ for an International model shoot. I have done this many times and it is a blast!! Now take these images home and incorporate them into your marketing. If a bride asked about the images and the wedding, tell her the truth, it was a model shoot. But tell her all the effort it went into doing this and why you did it. She will most likely be impressed. Here is a final yet simple concept: As your imagery becomes stronger, other photographers and brides perception of your value increases. Art is subjective, yet let me put this to the test: do an Internet search and randomly cruise through as many wedding photographers sites until you get my point: take a calculated guess at their starting package prices based on image strength and see if you are close to the mark. I will venture to say that after a while; you will see the correlation between the qualities of image/style to the perceived value of that photographer. The greater the image-composition skills, the greater the value the photographer will place on their work, thus charge more for their packages. In general, the market will not support an over-priced photographer with sub-par imagery. How does this all tie into model shooting: The more you shoot, the stronger your imagery will become! Model shooting is a confidence builder. The more extra curricular shooting you do, the better your actual wedding shoots will become and the more your overall value will increase! The beginning of a passion for model shoots! David Beckstead is an amazing wedding photographer that shoots all over the world and is based in the Pacific Northwest. You can find more information on David and his seminars at Shoot With Beckstead. Grand Prize Winner – Amanda Pryde! Amanda Pryde has won the amazing RedCart system! 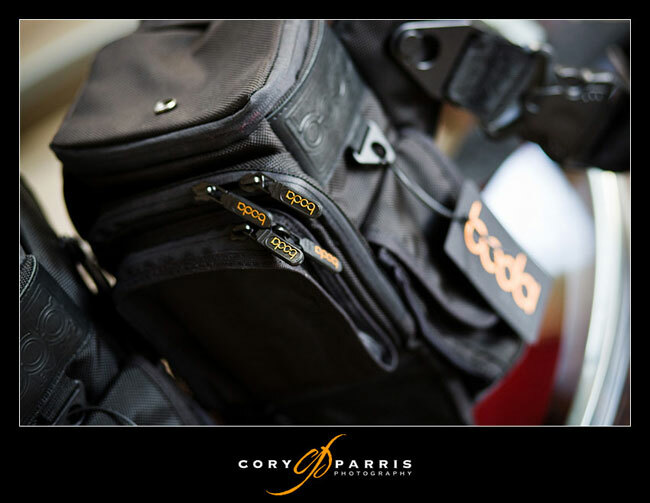 It is a beautiful, flash-based cart system created by wedding photographer Tommy Tompkins. My first image (AP–1.jpg) is a bridal portrait taken on the Blue Ridge Parkway right outside of Asheville, NC on November 3, 2007. The bride stood on a railing at a scenic overlook, and I shot from across the road where I’d climbed a large rock to be on the same plane as her, able to get a good deal of mountain scape and blue sky in the background. To make the finished image a panoramic, I duplicated and flipped the image in photoshop, and then merged the two images on a panoramic canvas, cloning out the bride in the second half and rearranging the mountain scape slightly to give the image a realistic panoramic appeal. Thanks you to everyone that entered as well as RedCart and BigFolio for providing the prizes!